Wellspring’s Aquafit Therapy program is designed to benefit every individual, with cancer, whether you are in the process of receiving treatment or you are working toward regaining your strength after treatment. 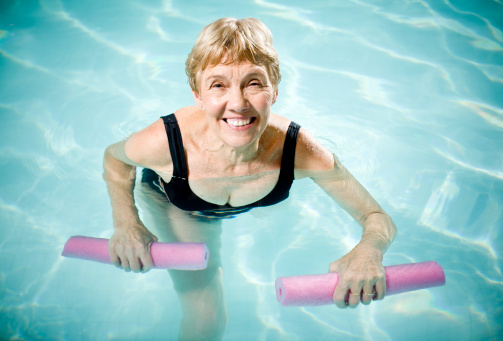 Aquafit Therapy is also beneficial for caregivers as it is an excellent way to gently work multiple muscles simultaneously; the water provides resistance without adding impact on the body’s joints. Each participant is able to work at their own level of intensity. Aquafit provides mild cardio and is a gentle way of healing.